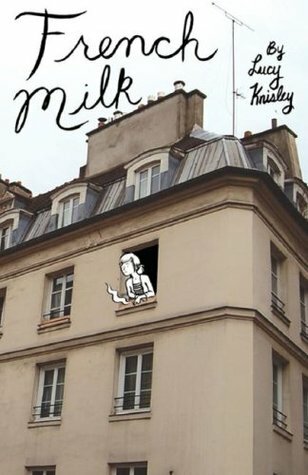 I recently read and reviewed Relish, a graphic memoir by Lucy Knisley, so when I heard she’d written an earlier memoir called French Milk, I immediately requested it from our library. I enjoyed this journal-like memoir of writing and drawing from a month spent in Paris with her mother. 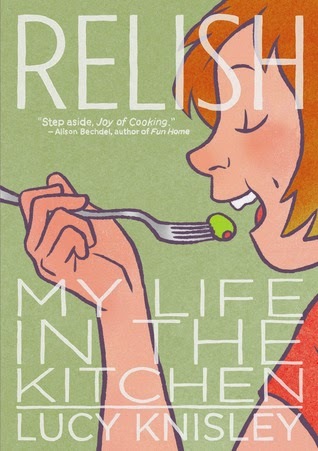 Although it is a travel memoir, there is a strong focus on food, which you might expect if you read Relish. When she was 21 years old, Lucy and her mother spent a month in Paris during winter break, in part to celebrate Lucy’s 22nd birthday and her mother’s 50th. She traveled from Chicago, where she was attending school, back home to upstate New York to her mother’s house, and then they traveled together to Paris where they had rented an apartment. Lucy chronicles their trip in this “drawn journal,” filled with drawings, photos, and hand-written text. With a full month to spend in Paris, Lucy and her mother fully explored the ancient city, going to museums, cemeteries, churches, and other sights, as well as shopping and walking all over the city. Oh, yes, and they ate! 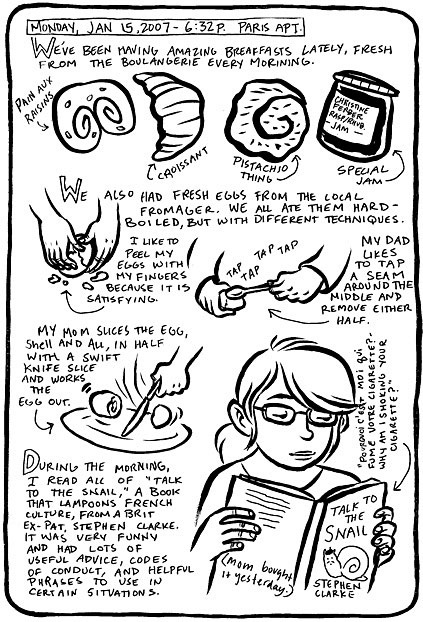 Lucy details all the wonderful foods the encountered in Paris, from small cafes to bakeries to fancy dinners to the simple dinners they made in their little apartment with ingredients from the local market. 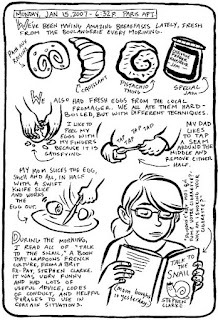 Through her photos, drawings, and descriptions, Lucy takes the reader along on their foodie journey. This memoir is much less polished than Relish. It is, as Lucy describes on the first page, truly a trip journal, something done as much for herself as for others. In addition to details about the sights they saw and the foods they ate, she also shares her somewhat rocky feelings. Turning 22 feels momentous to Lucy, and she often feels torn between adolescence and adulthood. She writes about these complicated feelings very openly and honestly. I’ve only been to Paris myself once – back when I was 16 years old (a loooong time ago!) – and reading about Lucy’s adventures made me want to go back. Lucy had a unique opportunity to not just visit someplace as a tourist but to live there for a while and really soak in its ambience and flavors, both culinary and cultural. She does an excellent job of conveying that experience in this slim book. I enjoyed visiting Paris vicariously through Lucy’s charming journal, and I can’t wait to read her more recent graphic memoirs. Lots and lots of raspberry blooms - will have to come back in July! 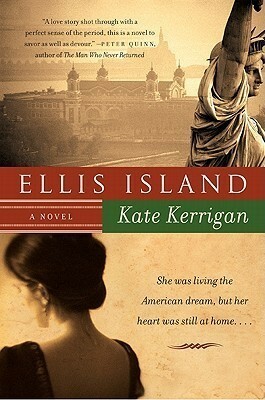 One of my cousins chose Ellis Island by Kate Kerrigan as the most recent selection for our online family book group. Everyone in the group enjoyed this immigration story of a young Irish woman in the early part of the 20th century, stuck between the new, exciting world of New York City and the family and husband she left behind in her home country. Ellie fell in love with John when she was just eight years old and he was ten. They both lived in a small rural town in Ireland, attending the local public school, though John’s family lived on a small farm in the countryside, and Ellie’s lived in town. Until that point, Ellie’s life had been a bit sedate and somber, as the only child of two rather severe parents. John introduced her to running through fields and climbing trees, and John’s affectionate, loving mother and father welcomed her into their home and their hearts. Ellie went away to a convent school, while John stayed at the local public high school and eventually became involved in the Irish civil war, helping the local rebels in seeking independence from Britain. Ellie and John married, as expected, but their lives weren’t easy. They were quite poor and mired in the revolution. Eventually, things came to a head when money was urgently needed. Ellie, along with many other young Irish women, headed for America, where an old school friend had a well-paying job waiting for her as a personal maid to a wealthy woman. Ellie’s plan was to work for a year, send as much of her income back to Ireland as she could, and then return home to John. Once in New York, though, Ellie gradually grew to love her new life, filled with fashionable clothes, independence, relative wealth, and new friends. She and her friends worked together, went out to clubs, danced, and generally enjoyed the exciting life that was New York in the 1920’s. When a wealthy suitor expresses his love for Ellie, while John is urging her to come back home to their little house in the country, Ellie finds herself torn between the two worlds. All of us enjoyed this immigrant story and felt Ellie’s pain in having to make this difficult decision. Some of us rooted for her to decide one way or the other, but all of us wondered what we would do in the same situation. The author offered to answer our questions through Twitter and said that, with Ellie, she was trying to show the “contrast between the life of her dreams (freedom) and life of her identity (Ireland).” Many of us were thrilled to hear that Ellis Island was not the only book of Ellie’s adventures – her story continues in the novels City of Hope and Land of Dreams. Kerrigan did a wonderful job of describing both of Ellie’s worlds eloquently: her poor country house with her beloved John and the excitement and fun of New York in the 20’s for a young immigrant discovering the land of opportunity. Ellie and John feel real, and so does Ellie’s uncertainty over which life to choose. As difficult as that choice seems, Kerrigan manages to bring the book to a satisfying conclusion. I enjoyed the novel and the interactions with Kerrigan and look forward to reading more from her. It was another hectic week ('tis the season! 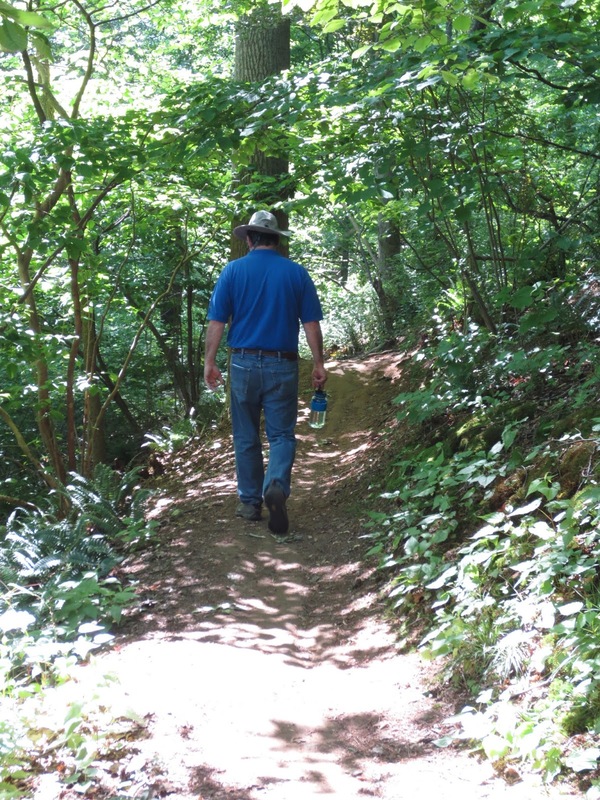 ), but my husband and I had a nice, relaxing holiday weekend mostly on our own. We've taken walks and a hike, had good friends over for dinner, and just spent some down time recovering from the busy week. I also launched my annual Big Book Summer Challenge this weekend, so be sure to check it out and join the fun! I finished Blue Lily, Lily Blue, book 3 in the Raven Boys series by Maggie Stiefvater. I love this series! The third book was just as good as the previous ones and now I am ready for book 4. To kick off my own Big Book Summer, I started reading A God in Ruins by Kate Atkinson, companion novel to Life After Life which I read in January and immediately added to my list of Best Books Ever! My husband gave me this book for Mother's Day, and it will count as my first Big Book of the summer. It is different from Life After Life but totally engrossing. I have been listening to Beautiful Creatures by Kami Garcia and Margaret Stohl, a teen/YA novel, on audio. 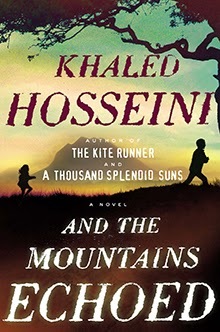 This was one of my downloads from the first week of SYNC - be sure to check out this great source for free YA and classic audio books all summer long! They feature a new pair of audio downloads (one modern YA paired with one classic) each week. This is only week 3, so you still have plenty of time. So far, I am enjoying this popular YA novel that I somehow missed before. The story and excellent audio production have been riveting. My husband, Ken, finished Enclave by Ann Aguirre, the first book in her YA Razorland trilogy. Our son recently read this novel and enjoyed it. I still need to read it! Ken has also gotten into the spirit of the Big Book Summer Challenge and started A Feast for Crows by George R.R. Martin, the fourth book in the Game of Thrones series. He says this one could take him all summer to finish! Jamie, 20, has been overwhelmed with end-of-the-semester work (almost done!). He said he was reading Mountain Man by Keith C. Blackmore, a book his dad lent him, but then it disappeared from his Kindle (possibly it was a loaner and the time ran out). He says he is now reading the second book in a Robin Hood series, though I'm not sure what the title is. He should finish up the last of his projects today and then will go on a reading binge! 2015 Big Book Summer Challenge - Sign up and Join the Fun! Saturday Snapshot 5/23 - flowers in our yard and neighborhood, welcoming summer! Not sure what these are but I love the bright pops of color! Our own irises - they don't last long! My new azaleas are blooming! Welcoming summer with nail color Not a Cloud on the Sky! Enjoy the holiday weekend...and celebrate the unofficial start of summer by signing up for my Big Book Summer Challenge! 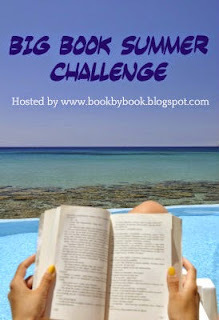 I have just announced the 4th year of my challenge, Big Book Summer Challenge, so I guess I should be the first to sign up! I really enjoyed tackling some big books the last few summers, and I'm looking forward to doing it again and finally reading some of these bricks that have been collecting dust on my shelf (NOTE: for this challenge, a Big Book is defined as anything with more than 400 pages). I like to alternate between grown-up books and kids/teen/YA books, so I have three of each on this list. Some of these have been collecting dust on my shelf for many years! I also chose some books that will help me in other challenges this year, like Anne of Green Gables for my classics challenge, plus all of these qualify for my TBR Challenge. I also chose a couple of summer-themed books this year - Revolution and Prodigal Summer - just for added fun. This looks like a long list, but none of the books is over 500 pages, and I suspect the kids/YA ones will go pretty quickly. I'm so excited for summer now! I do still need to squeeze in 3 more book group selections in June, but I have already kicked off my Big Book Summer by starting A God in Ruins today. My Big Book Summer books for this year! I haven’t read more than a couple of short stories since high school, and I’m not sure I have ever read a whole collection of short stories by a single author. So, when I started reading Get in Trouble, a book of short stories by Kelly Link, for Booktopia last month, I didn’t know what to expect. I needn’t have worried. I was completely pulled into each unique story and thoroughly enjoyed all nine stories in the collection. Kelly’s stories are all a bit…well, weird (and I know from meeting her that she takes that as a compliment!). Most of them feature a world that is very much like our own, expect that it isn’t, quite. She weaves one or more unique – often supernatural or sci-fi type – elements into what is otherwise a story about human relationships. Her stories include ghosts, life-size animated dolls, real-life superheroes, and all kinds of other strange phenomena that defy easy classification. In I Can See Right Through You, a famous movie star travels to Florida to visit his best friend/ex-girlfriend on location at her ghost-hunting reality show. Much of the story is about their relationship – past and present – but there is an ever-present tension in the story as the crew (all naked, by the way, since their current show is about an old nudist camp) waits for ghosts to show themselves. Origin Story takes place mostly in an old, run-down Wizard of Oz amusement park. At first, it seems to be about the relationship between two old high school friends, though it quickly becomes apparent that one of them is a famous superhero and the other has an interesting power of her own. The two friends have deep discussions about life and love, reminiscing about their childhood together, bantering about fairy tales and the Wizard of Oz, but their conversations are also peppered with superhero topics – why tights?, which super powers kids from high school ended up with, and how exhausting it is to be featured in a parade. It’s all very realistic yet somewhat surreal at the same time. In Two Houses, the entire crew of a spaceship are all woken up from stasis at the same time to celebrate a birthday. They sit around the table in their ship, enjoying the realistic earth settings that the ship’s computer creates for them, and chatting, like you would with good friends. They decide to tell ghost stories, many of them passed down in their families for generations. It gets a bit too scary for some of them, and then there is a Twilight Zone-like twist that makes your head spin. In Light, the last story of the collection, Kelly pulls out all the stops. There are werewolves, people who drop suddenly into a mysterious sleep and are then stored in a warehouse, and pocket universes that people travel to on vacation or even move to. The main character, Lindsey, was born with two shadows, and her extra shadow eventually spawned a real twin. This is, apparently, not all that unusual, though there is some prejudice against people with two shadows. The story follows Lindsey through a week when her twin brother comes to visit and a hurricane hits her town in southern Florida. All of the stories in the book, despite their weirdness, focus on people and their relationships. I was completely drawn into each new world, pulled into the story and attached to the characters, though each story felt like it ended at just the right time. This was something I’d worried about with short stories – I thought I’d feel suddenly yanked out of the story. Kelly tells each story in a way that feels complete – she packs so much into each one that you feel as if you’ve read a short novel. As you can see from the few descriptions above, she brings ample imagination and creativity to each new world, yet they all feel familiar in some ways. 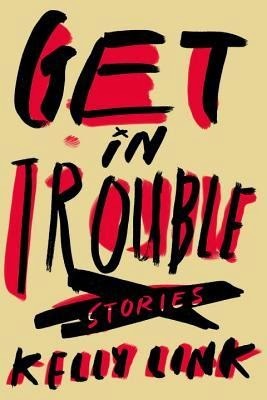 Get in Trouble has opened my eyes to the world of short stories, and I can’t wait to read more – both from Kelly Link and from other authors. Wow, 9 books in a month - that is probably a record for me! I was really pushing toward the end of the month to fit in my Booktopia reading after I got off the wait list. Quite a mix, too - 8 novels and 1 memoir. Seven were for adults and two books were for middle-grade readers (no YA last month). Three audio books and two graphic novels/memoirs. With so much variety, choosing a favorite is almost impossible - there were no mediocre books in April - these were all outstanding! 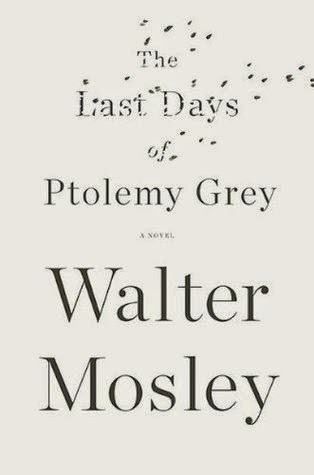 The Last Days of Ptolemy Grey probably affected me the most emotionally. 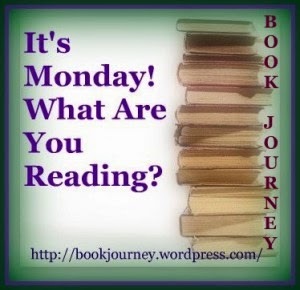 I traveled all over the world last month in my 2015 Where Are You Reading Challenge! I added 2 new states to my list and 3 new countries/regions internationally. Not a single book from my own shelves for my Mount TBR Reading Challenge 2015 - really need to work on that! I listened to three more audio books for my 2015 Audio Book Challenge, and added one more book to my 2015 Nonfiction Reading Challenge. No classics last month (need to work on that one, too). I added 3 new countries/regions to my Travel the World in Books Challenge. What was your favorite book(s) read in April? 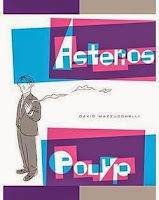 I am still making my way through Flavorwire’s list of 25 Essential Graphic Novels and discovered yet another one with surprising emotional depth and quite a philosophical bent: Asterios Polyp by David Mazzucchelli. This is a story about a man who loses everything and learns what life is really all about. As the novel opens, Asterios, the main character, loses everything he owns when his apartment building in NYC is struck by lightning and burns – on his 50th birthday. From the opening panels showing his stylish but trashed apartment before the fire, you get the idea that the fire is not the first bad thing to happen to Asterios but represents hitting bottom. The story then flashes back to fill in a bit of Asterios’ background. He is a well-respected architect whose esteemed designs have never actually been built. He teaches at a university in Ithaca, NY (presumably Cornell) and has experienced great success. Oh, and Asterios’ story is being narrated by his twin, who died at birth. Yup, just a little weird. After watching his apartment and all his worldly possessions (except for a watch, a lighter, and a Swiss Army knife) burn, he uses the last of his cash to buy a bus ticket to wherever his remaining money can take him. He ends up somewhere in the Midwest and proceeds to start over – finds a job, a place to live, and even makes some new friends. Interspersed with Asterios’ new life are flashbacks to his old life and the events leading up to the apartment fire. I didn’t know what to make of this unique graphic novel at first, especially with it being narrated by someone who was never born! 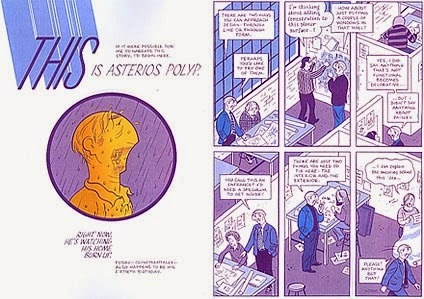 But it turned out to be thoughtful and thought-provoking, as Asterios strips his life down to its bare bones and considers what life is really all about. Since he started out as a somewhat snooty, wealthy academic, this requires some deep introspection on his part. The author has a unique drawing style, but it feels like it fits Asterios just right. A range of styles – from big two-page spreads to geometric shapes to classic comic book panels – keeps your eyes roving across the pages and your mind engaged. All in all, I really enjoyed Asterios Polyp and found it made me think. This is definitely another graphic novel success for my growing list. I love the quiet solitude of a Monday morning. This weekend was mostly spent cooking and caring for our 17-year old son who had oral surgery on Friday to get his four wisdom teeth extracted. He seems to be healing well and went to school this morning. I've been feeling particularly stressed and overwhelmed lately. Between the oral surgery and my father-in-law's 90th birthday last week, it was a hectic week with little productive time, so I just feel like I am behind on everything. My big accomplishment for the weekend was getting the kitchen island cleared of clutter and paper - woohoo! I finished Ellis Island by Kate Kerrigan for my online family book group, and we finally started our discussion! I enjoyed this novel about a young girl growing up in Ireland in the early part of the 20th century who goes to America to earn some money and ends up feeling torn between her husband in Ireland and her exciting new life in NYC. The author responded to one of my Tweets and answered some questions from our discussion. It's always great to hear directly from the author! With my book group commitments finished for the month (well, I missed my neighborhood book group meeting last week), I moved onto some YA - my TBR shelves for kids/teen/YA books are overflowing! I finally started Blue Lily, Lily Blue, book 3 in the Raven Boys series by Maggie Stiefvater. I love this series! I finished listening to Ask the Dark by Henry Turner, a teen/YA novel on audio. It was absolutely riveting, narrated by a boy who often gets into trouble, about a series of missing boys in his town and how he was the only person who could piece together what happened to them. Suspenseful and moving. I started listening to Beautiful Creatures by Kami Garcia and Margaret Stohl, another teen/YA novel, on audio. This was one of my downloads from the first week of SYNC - be sure to check out this great source for free YA and classic audio books all summer long! They feature a new pair of audio downloads (one modern YA paired with one classic) each week. This is only week 2, so you still have plenty of time. So far, I am enjoying this popular YA novel that I somehow missed before. My husband, Ken, finished Devil in a Blue Dress by Walter Mosley. He bought it after I read Mosley's amazing novel The Last Days of Ptolemy Grey and went to hear Mosley speak for our All-County Reads program. When I showed Ken the long list of books Mosley had written, he decided to try one. This is the first book in the Easy Rawlins mystery series. He said it was great - very well-written - and he is looking forward to reading the next book in the series. We are both new Mosley fans! Ken is going on a business trip this week (a hectic one with quick turnaround), so he chose a short YA novel for his next book. He is reading Enclave by Ann Aguirre, the first book in her Razorland trilogy. Our son recently read this novel and enjoyed it. I still need to read it! Jamie, 20, has been overwhelmed with end-of-the-semester work but is reading Mountain Man by Keith C. Blackmore, a book his dad lent him, to continue his Zombie obsession. A week from now, he will be done with the spring semester - then he can read nonstop for two weeks! 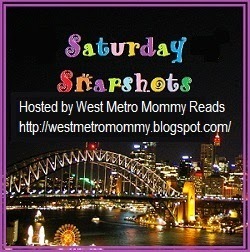 I haven't been home on the weekend to participate in Saturday Snapshot in a few weeks. I attended Booktopia, an amazing weekend retreat in Vermont - you can check out the photos from that at my Booktopia post. Last weekend, we visited my Dad, and this week, we celebrated my father-in-law's 90th birthday! It's been busy! The azaleas my husband planted for me are starting to bloom! It will be a while before my azaleas get this big! Everything is green now - no more blossoms until next spring! I read the novel Fram by Steve Himmer for my recent Booktopia weekend. Steve was one of the featured authors there, so I had the honor of meeting him in person and discussing his book with him and 30 other readers, which only intensified my enjoyment of this unique, intricate novel about life, love, marriage…and polar exploration. Oscar lives a quiet, routine life, working for a secret government agency called the Bureau of Ice Prognostication, begun during the Cold War simply because the U.S. discovered that Russia had one. Oscar and his partner, Alexi, work in a tiny basement office with a blank map of the Arctic on the wall. Their job is to invent Arctic discoveries and developments and then create a paper trail of documents that “proves” they exist, to save the cost of actual polar expeditions. The ironic part is that Oscar has dreamed since he was a little boy of being a polar explorer, so he is living out his fantasies from his neat desk in the basement under a single lightbulb. During his off-hours, Oscar shares a small apartment with his wife, Julia, though they seem to have been drifting apart during the last few years. Oscar’s polar obsession continues at home, where he frequently checks his phone to watch the North Pole cam (which mostly just shows ice and wind) and peruses his extensive collection of National Geographic magazines. This quiet, predictable routine is broken one day when Oscar and Alexi are unexpectedly – and suddenly – sent to the Arctic for real. 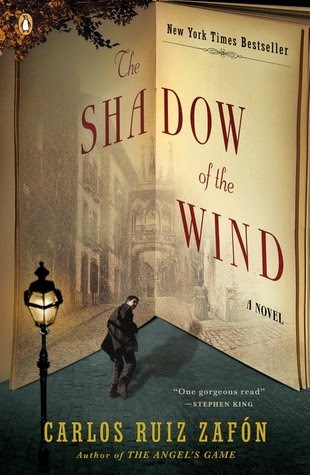 From there, the novel leaps into a higher gear, with elements of mystery, adventure, and espionage right alongside Oscar’s rich inner life. There are plenty of twists and turns from there, keeping the reader guessing right up until the last sentence (and beyond!). Alongside Oscar’s story are chapters that flash back to other related events: various polar expeditions, lives of Arctic residents, and earlier explorations. Fram is not just an action novel set in the Arctic – it has some of those elements, but it is also a very thoughtful and thought-provoking novel. The author uses Oscar and his unusual experiences to delve into the mysteries of life and love and the intricacies of marriage. In fact, I loved the way that Steve characterized Oscar and Julia’s marriage, with all of its inside jokes that brought them together and secrets (Oscar’s job is top-secret) that pulled them apart. What starts out as a tongue-in-cheek look at government bureaucracy turns into a race to the Arctic complete with evil people and agencies in the shadows. 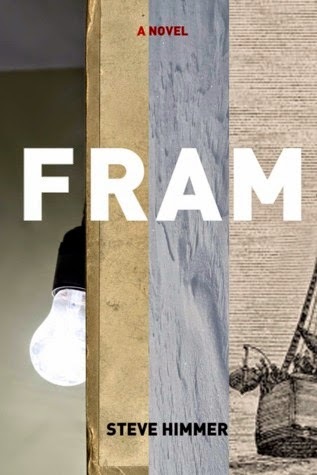 I thoroughly enjoyed every page of Fram – its suspense, its original story, but mostly the very clever, intricate, and thoughtful way that all of its disparate pieces come together. I can’t wait to read more from Steve Himmer. P.S. If, like me, you aren’t thrilled with the way the novel seems to end, take heart! When I asked about it at Booktopia, Steve said that the ending is open to interpretation…so I decided to choose the ending I wanted! 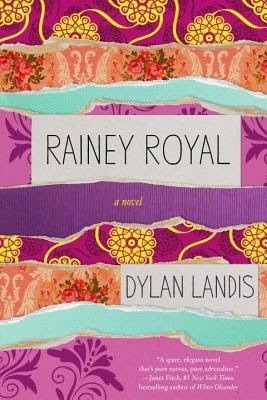 When asked if Rainey Royal is a novel or a series of short stories, author Dylan Landis smiled slyly and said, “It’s a novel…told in stories.” I had the honor of meeting Dylan – and of discussing her book with her and 30 other readers – when I recently attended Booktopia. I thoroughly enjoyed both listening to the audio book of Rainey Royal and having a chance to meet the author. Rainey is a fourteen-year old girl living in Greenwich Village with her father in the 1970’s when the novel opens. Their 5-story townhouse is a bit more crowded than that, though. Rainey lives with her father, Howard, who is a renowned jazz musician; his best friend, Gordy; and an ever-changing parade of young musical acolytes who are thrilled to play (and play) with the great Howard Royal. It’s not exactly a healthy environment for a young girl, and Howard is not much of a father. To make matters worse, Gordy makes her feel uncomfortable by tucking her in at night and always being just a little too close. It is all together a creepy and disturbing situation. Rainey seeks comfort – and some semblance of a family – outside of the house. Her mother left, but she visits her grandmother, Lala, (who owns the townhouse) in an old folks’ home, tries to connect with her mother’s sister, and most of all, leans on her best friend, Tina. At school, Rainey and Tina are bullies and sport a tough outer shell, but at least they have each other. Rainey’s other comfort is her art, and she strives to feed her creative tendencies, even while other destructive forces within her often lead to dangerous behavior. 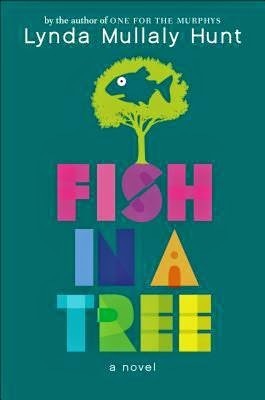 As the author explained at Booktopia, Rainey’s story is told in a series of fourteen interconnected stories that together make up the narrative of Rainey’s life, following her from adolescence into young adulthood. That narrative is powerful, moving, and often disturbing, but you keep rooting for Rainey. Her circumstances are so dysfunctional that she is often led to act in rebellious – even criminal – ways, but you can also see the hurt child underneath all that bravado. As I was listening to the audio book – beautifully read by Jorjeana Marie – I alternated between wanting to shake Rainey and wanting to protect her. Dylan perfectly captures the experience of being an adolescent girl. Even though I grew up in a normal, loving family very unlike Rainey’s, I recognized and related to some of her struggles to fit in and find her place in the world. Young girls often feel powerless, which is certainly true for Rainey at home, yet they are beginning to discover that they yield some unexpected power through their sexuality, bodies, and confidence (even when it is a false front), as when Rainey gets in trouble at school for making the male teachers feel uncomfortable just by the way she looks at them. This is a coming-of-age story that feels both foreign and familiar at the same time. I have never read a novel quite like this before. Of course, its structure is unique, telling Rainey’s story in a series of interrelated narratives, but its uniqueness goes further. Dylan pulls you deep into Rainey’s life, with achingly beautiful prose, making you care about her and wanting to save her. This is one of those pieces of fiction that wraps itself around you and brings you wholly into its world. Dylan said she wrote this novel because she’d previously written a short story with Rainey as a supporting character, and she just couldn’t get her out of her mind. I understand completely because that’s just the way I felt listening to Rainey Royal. This is a few days late, but I was out of town this weekend - it's always a good time for a good book about a mother! What are your recommendations? 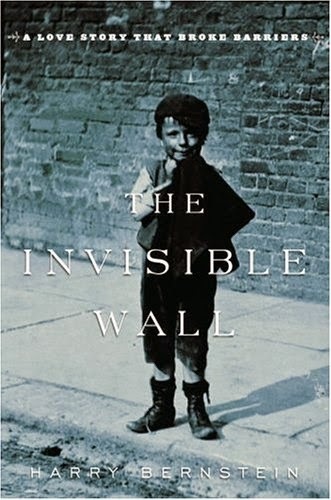 The Invisible Wall by Harry Bernstein – this first memoir of three, written when the author was 93 years old, details his early childhood in England in the 1910’s, where his street had Jewish families on one side and Christian families on the other; Harry’s mother played an important role in holding the family together during difficult times. The Glass Castle by Jeanette Walls – another memoir, this one about parents who failed to protect and care for their children. The author’s mother was artistic and a free spirit but not much of a caregiver. Half-Broke Horses by Jeanette Walls – sort of a prequel to The Glass Castle, this is a semi-fictionalized account of Wall’s grandmother, Lily, and her life as a daughter, sister, school teacher, and mother. 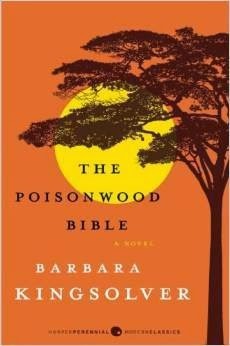 The Poisonwood Bible by Barbara Kingsolver – one of my all-time favorite novels is the story of a family who travels to the Congo in 1959 as missionaries, in a year that changes all of their lives forever. The mother’s poignant look back on that time and its effect on her children is particularly moving. The Bean Trees and Pigs in Heaven by Barbara Kingsolver – two more favorites from Kingsolver, these heart-warming novels are about a girl who grows up in rural Kentucky with a single mother, moves to Arizona, and whose life is forever changed when she becomes the adoptive mother of an abandoned Native American child named Turtle. 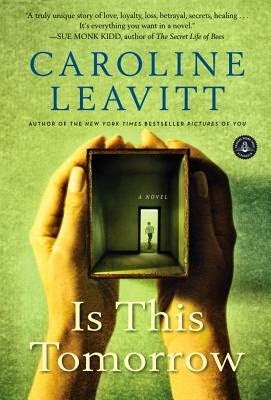 Is This Tomorrow by Caroline Leavitt – the multi-faceted story of a Jewish, divorced, single mother in 1950’s suburbs struggling to raise her son amidst prejudice when the unthinkable happens and her son’s best friend disappears. Both a mystery and a family drama. The Twelve Tribes of Hattie by Ayana Mathis – follows the challenging life of Hattie and her children, starting in 1923 in segregated Georgia through their struggles in a poor Black neighborhood in Philadelphia. The novel is raw, emotional, and compelling, as Hattie faces adversity again and again. 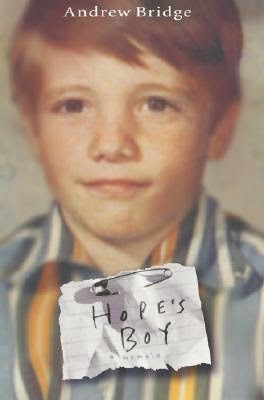 Hope’s Boy by Andrew Bridge – the heart-breaking but ultimately triumphant memoir of the author’s childhood, split between his grandmother, his very young mother recently released from prison, and the foster-care system. This story speaks to the unbreakable tie between mother and child. The Language of Flowers by Vanessa Diffenbaugh – though on the surface, this is a novel about a young girl named Victoria who grew up in and aged out of the foster care system, at its heart is the life-changing effect that a foster parent can have on a child’s life and how Victoria ultimately uses that love to save herself. What are your favorite books about mothers? Having read and reviewed middle-grade books for over a decade now, I am familiar with the name of author Gordon Kormon, who has written over 50 middle-grade and teen novels, and my son read some of his books, but somehow I missed them. 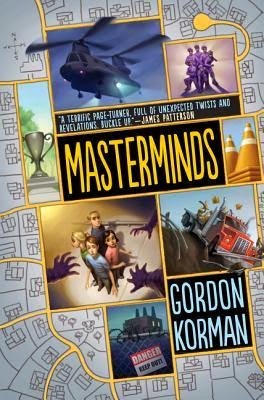 I finally had my chance to experience Kormon’s work when I listened to the audio book Masterminds, his latest action-packed middle-grade novel. Eli Frieden is thirteen years old, living a pretty normal life with his best friend, Randy, in Serenity, New Mexico. Except that life in Serenity isn’t exactly normal. Eli and Randy and the other 28 kids who live there know they are very lucky to live in the town voted as “#1 in the USA for standard of living.” Their parents and teachers often remind them that Serenity is a unique and wonderful place to live – with no crime, no poverty, and no unemployment, where honesty and integrity are valued over everything else. One day, Randy convinces Eli to go along on one of his crazy schemes and they ride their bikes out of town toward the surrounding national forest. Something horrible and unexpected happens, though, and soon Eli and his friends begin to suspect that perhaps everything isn’t quite as perfect in Serenity as they’ve always thought. Eli’s dad is the mayor, so he has to keep his growing suspicions to himself, but the kids don’t really know exactly what is going on…just that something is not quite right. Each chapter is narrated by a different kid in town, from among Eli’s friends and classmates who are all around 12 or 13 years old. On the audio, there is a different actor for each kid’s voice, which really added to my overall enjoyment of the production. The suspense builds with each surprising new twist, as the kids try to figure out exactly what is going on in Serenity. I loved this action-packed middle-grade novel with a unique plot, and the audio book was a lot of fun to listen to. Kormon has written a fast-paced, suspenseful story with in-depth characters and plenty of surprising twists and turns to keep you guessing. In fact, I rarely feel compelled to read series – I often finish the first book and think, “I enjoyed that, but I don’t need to read more” – but this time, I can’t wait for book 2 to find out what happens next to Eli and his friends! Whew, what a week! I started the week on a high from my amazing Booktopia weekend in Vermont - exhausted but happy. Then, I got a slew of bad news on Wednesday. First I heard that an old friend has stage 4 lung cancer and that it has spread to her brain. I hadn't seen her in a while, but that hit me hard because she is my age, has three sons about the same ages as my sons, has never smoked, and is such a vibrant woman, full of life. An hour later, I got even worse news - that my Dad, who's been fighting stage 4 melanoma for almost a year, had developed sudden balance problems and a head MRI revealed multiple cancer lesions in his brain. They are going forward with radiation, which started immediately last week, and he will probably need brain surgery to remove the largest tumor. He had been stable with his treatment for so long that this really came as a shock to all of us. We changed our plans to spend Mother's Day weekend with my mom (who completely understood and was very supportive) and instead left a day early and drove all the way to Rochester (NY - my hometown) to spend the weekend with my Dad and his wife. 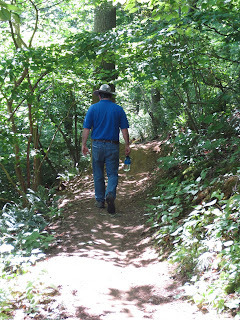 He was feeling OK this weekend, just very tired, and we were all so glad that we got to spend that precious time with him. So, now I am back home, surrounded by mess and a lengthening to-do list but feeling like everything is a bit surreal. It's amazing how everyday life continues even in the wake of such terrible news. 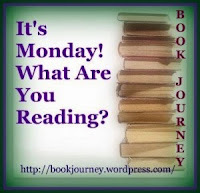 I am still reading Ellis Island by Kate Kerrigan for my online family book group. We were supposed to begin discussing it a week ago, but I still haven't finished! I've been enjoying this novel about about a young girl growing up in Ireland in the early part of the 20th century who goes to America to earn some money and ends up feeling torn between her husband in Ireland and her exciting new life in NYC. I am still listening to Ask the Dark by Henry Turner, a teen/YA novel on audio. It's riveting so far, narrated by a boy who often gets into trouble, about a series of missing boys in his town and how he was the only person who could piece together what happened to them. Excellent so far. My husband, Ken, finished a thriller I gave him for Easter, Silken Prey by John Sandford. It's the first Sandford novel he's read (I heard about the Prey series on the Books on the Nightstand podcast), and he said it was OK but not great - plenty of fast-paced suspense but not a lot of depth. My dad likes the Prey books, so Ken finished it this weekend and left it for him to read...along with a stack of others he's recently read. I come from a reading family! Ken has now started Devil in a Blue Dress by Walter Mosley. He bought it after I read Mosley's amazing novel The Last Days of Ptolemy Grey and went to hear Mosley speak for our All-County Reads program. When I showed Ken the long list of books Mosley had written, he decided to try one. This is the first book in the Easy Rawlins mystery series. Jamie, 20, has been busy with school but is reading Mountain Man by Keith C. Blackmore, a book his dad lent him, to continue his Zombie obsession. Two more weeks and he can go on a reading binge when the semester ends!